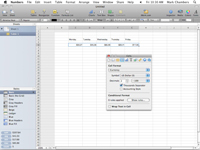 Snow Leopard’s Numbers application offers plenty of formatting options for the data in your spreadsheet. After you enter data into a cell, row, or column, you may need to format it before it appears correctly. Number formatting determines how a cell displays a number. 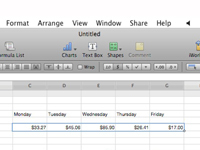 For example you might want data to appear as a dollar amount, a percentage, or a date. Characters and formatting rules, such as decimal places, commas, and dollar and percentage notation, are included in number formatting. 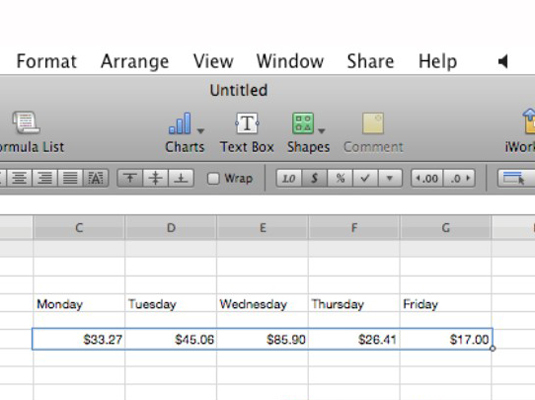 So if your spreadsheet contains units of currency, such as dollars, format it as such. Then all you need to do is type the numbers, and the currency formatting is applied automatically. 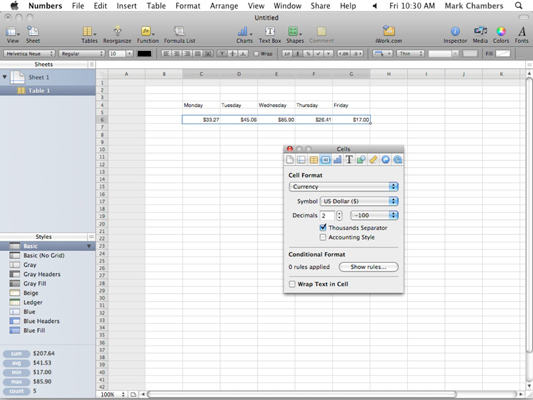 1Click and drag your cursor over the cells, rows, or columns you want to format. 3Click the Cell Format pop-up menu and click the type of formatting you want to apply. You can format the data you’ve entered from the Inspector.